Last week the EU’s statistics agency published the latest unemployment figures. These remain gruesome for some countries, particularly for young people. The average rate of 6.6% for the EU28 is still well above that of the UK at 4.0%. What the EU’s agency failed to say is that the average unemployment rate in the EU will jump even higher in eight weeks’ time, when the UK leaves. We have analysed the data to provide readers with this perspective. We also show the continued dire outlook for the young people in many EU member states. The above chart shows the average unemployment rates for the EU with and without the UK. The average without the UK, based on the latest figures just released for Dec 2018, jumps from 6.6% to 7.0%. The reason for the rise is simple. The UK’s unemployment rate stands at 4.0%. As this is less than two-thirds of the rate across the rest of the EU, it reduces the overall average rate and has the effect of making the EU’s figures look better than they really are. As with overall unemployment rates, the rate for the EU will rise, this time from 14.9% to 15.6%. In the chart below, we have compared this to the UK’s youth unemployment rate of 11.5%. In effect, young people are on average almost 50% more likely to be unemployed in the EU27. What are the latest youth unemployment rates in worst-effected countries? 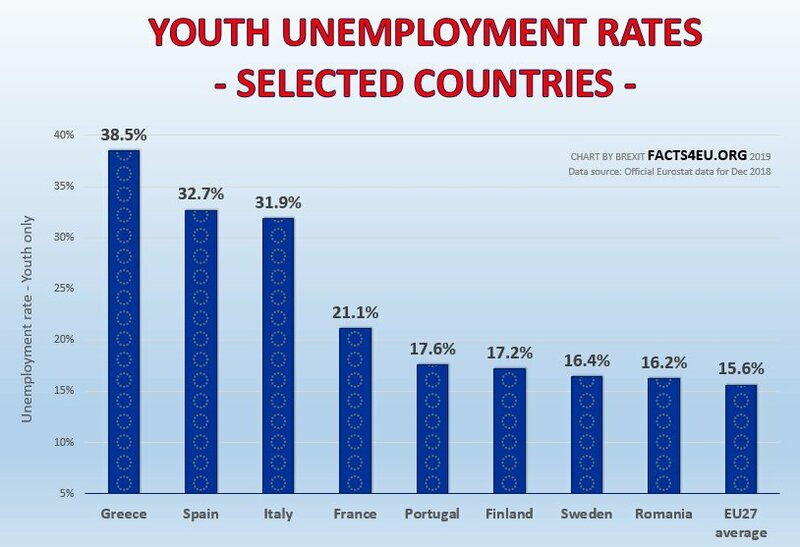 Below we show some of the EU’s countries which have been most ravaged by youth unemployment. Whilst these rates have fallen in some cases, they have been and are continuing to have a desperate effect on an entire generation. Most readers will be familiar with Greece’s problems, but the high levels in countries like France and Italy may surprise some. These are the second- and third-largest economies in the Eurozone, and yet France has the fifth-highest youth unemployment rate in the EU and Italy has the third-highest. A point that is seldom made when looking at unemployment rates is the distorting effect arising from the EU’s free movement of labour. Put simply, without countries like the UK and Germany taking in millions of workers from less well-off countries, the unemployment rates in those countries would be significantly higher. This applies to the overall rates and perhaps disproportionately more so to the youth unemployment rates, as young people generally have fewer ties and are more able to move to another country for work. You wouldn’t know it to listen to the EU Commission, but perhaps these bureaucrats have a lot to thank the UK for. I can't help wondering if this was an already scheduled EU publication, or is the EU just trying to rush out as many statistics as possible - all the ones that look considerably better with UK data included - before end of March? And then the EU might 'forget' to update their figures and carry on using those whenever it shows the EU's data in a more favourable light. There will be several economic areas where the EU's numbers will look worse without the UK and I guess even the EU bureaucrats will find it a bit tricky to explain it to the member countries. A SNP MSP in Scotland is boasting that the population of Tyndrum is 73% from the EU27. Tyndrum is a village in Argyll, close to the Bridge of Orchy, but importantly on the main road to Oban. For decades it's been an important stopping point for fuel and wellies - nothing posh at all, the basics you need for the highlands - but now it has more than just The Green Welly Shop, it's got a couple of fancy cafes. Some of the locals could do with the work. We keep hearing that the EU countries need immigration due to the aging population. Yet these figures on youth unemployment do not support this thinking. Catherine from Dollar, the SNP are a very weird sort of ‘nationalist’ party with a conception of ‘nationalism’ that very few, if any, people in the rest of the world would recognise as nationalists in Japan, South Korea or other countries would find it strange how a supposed ‘nationalist’ party like the SNP advocates even more of an open door approach to that subject than even the Labour Party does let alone praise as the SNP does, as in your example, a native population being displaced! GENUINE nationalists want to preserve the national character of their counties NOT argue in favour of national dissolution! The SNP have no real coherent nationalist philosophy and the only thing they do show some reliability about is having a chip on the shoulder attitude to the largest part of the United Kingdom. They wish to break-up the UK and then hand over the powers to the EU! REPLY FROM BREXIT FACTS4EU.ORG TEAM - We don't know what you looked at but it's wrong. Sorry but we don't have time to educate individuals. We use official data and always try to use the most recent. Trust us, it takes years to find the routes to the core data from the EU. 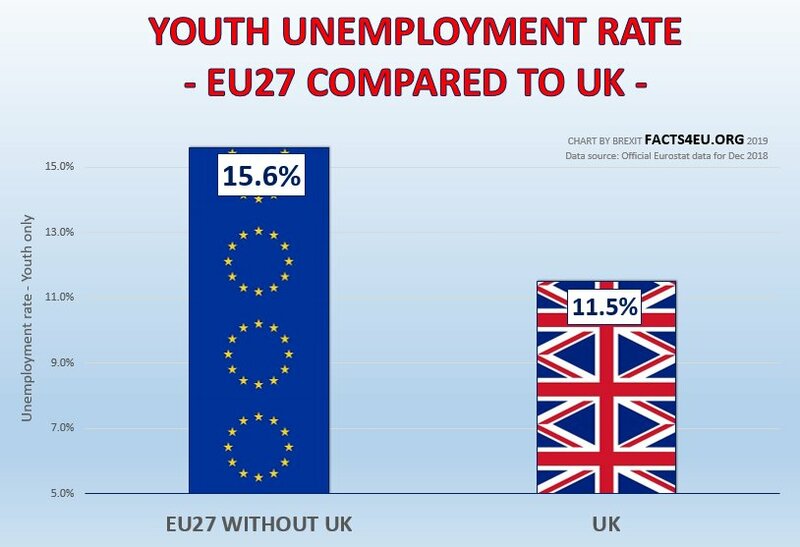 If you seriously think EU youth unemployment is the same as the UK's, well, we don't know what to say to you..
RupertP, you appear to be one of the victims of believing in some kind of 'massaged' figures. 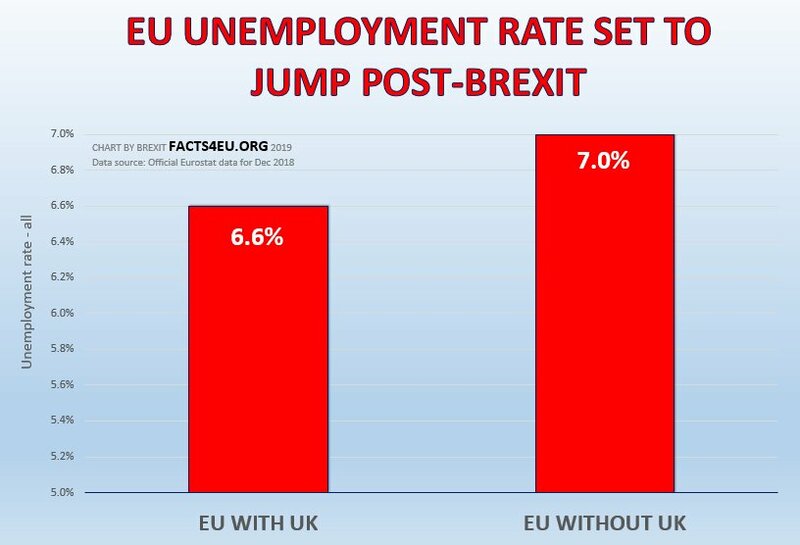 I'm reading Facts4EU for a long time, checked their figures and they've always been correct.